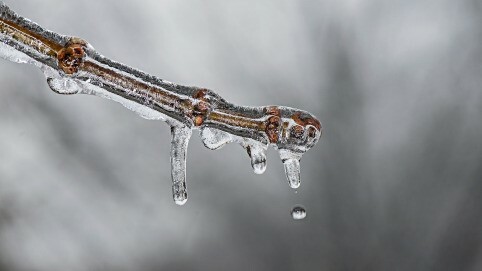 The Big Melt 2019 – This phase could be the most damaging yet. “Gutters and downspouts full of snow and ice can back up if it starts raining before the snow and ice melt. Water backing up in the gutters can be a real problem if you have a house without much of a roof overhang, because instead of wetting the soffits, it can get into the walls. Roof downspout in-ground drains can ice up, and then the water coming down the downspouts can spill out next to the foundation. If the house has a finished basement, the water next to the house could get into wall cavities through the footing-to-foundation joint, and any through-wall penetrations or cracks. Make sure that water coming out of the downspouts runs down into functioning in-ground drains, or route the water on the surface far enough away from the foundation that the water cannot run down next to it and get into the basement or the crawl space. Snow in a basement window well can get up against the windows and window trim. When the snow melts it could get in through small gaps between the windows and trim. Water from melting snow that has piled up against a door can get in through weep holes and weather stripping as it melts. When you shovel a walkway, be careful to not pile the snow up against the side of the house. Snow on a roof can get up under the flashing around skylights, chimneys, plumbing vents, attic ridge vents, etc. Pretty much all of the flashings and roof boots are designed to protect against water that is flowing down hill. Blowing snow can get under the edges of flashings or pack in around them and then drip down behind them as it melts. Usually the amount of water would not be noticeable, but in a situation where there are several inches of snow followed by a quick melt and a lot of rain, it could be a problem. I cleared the snow off of my roof top deck tonight because the snow was deep enough that when it melted it could have gotten up under the siding, through gaps between the door to the roof or through perimeter flashings and into the house. The through-wall drains were packed with snow so that water may not have been able to drain through them.